Q: Why shouldn’t I buy my eye wear over the internet? A: Eyewear is really a custom fit process. Frames that are too large or too small can be uncomfortable. Finding the right eyewear can really compliment your look and boost your appearance and feel thus making it hard to find eyewear online that you can not try on. Q: Are disposable contact lenses good for my eyes? A: Daily disposable contacts have shown to reduce likelihood of getting infections as a result of transferring bacteria. Q: Will my insurance plan cover my new glasses? A: Majority of the time insurances will provide an allowance towards frames and you may still have copays and or cost sharing for the lenses. 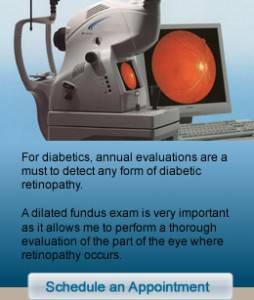 Q: What does the diagnosis of AMD mean exactly? A: Age related macular degeneration is the degeneration of the macula, which is the part of the retina responsible for the sharp, central vision needed to read or drive. Because the macula primarily is affected in AMD, central vision loss may occur. A: No, there a lot of bad bugs in the waters and one of the worst is known as pseudomonas which is a bacteria that loves water. This bacteria can cause major corneal damage within 24 hours. A: I never recommend that patients sleep in their contacts. Sleeping in contacts posses risks such as corneal ulcers and infections that are very sight threatening and extremely painful. Patient&#39;s should always change out contact lenses as recommended by their Optometrist. Changing contacts infrequently again will result in infections and ulcers. A: Yes, the new AirOptix Colorblends was just released by Alcon. The AirOptix Colorblends provide exceptional comfort, vision, health and a variety of color options. A: Yes, wearing contacts provide a wider field of view thus preventing avoidable injuries. Prescription sports goggles work well but when your actively sweating you goggles will fog up and start to move around a lot. I recommend contacts a lot for my active patients. A: Glasses are better because you do not have a foreign material resting on your eyes, however with advancements in technology contact lens material have become very healthy. Q. Can kids wear contact lenses? A. I generally recommend children to start wearing contacts at the age of 10. By this time in their life they are usually able to take on more responsibility and have better dexterity. Ultimately, the parent would need to give need to inform the doctor that he or she feels the patient would be able to care for the contact appropriately because contact lenses can cause irreversible harm to the patient’s eyes.